There is increasing interest in bicycle transportation in our region. Local communities are developing more bikeways, and more roadway improvements are being planned to include bicycle accommodations. Before BikeConnect HOI, there was no plan for a regional network that provides bicycle connections between communities. Also, there had never been a collaborative regional effort to examine potential policies and educational programs that could strengthen bicycle transportation in the region. 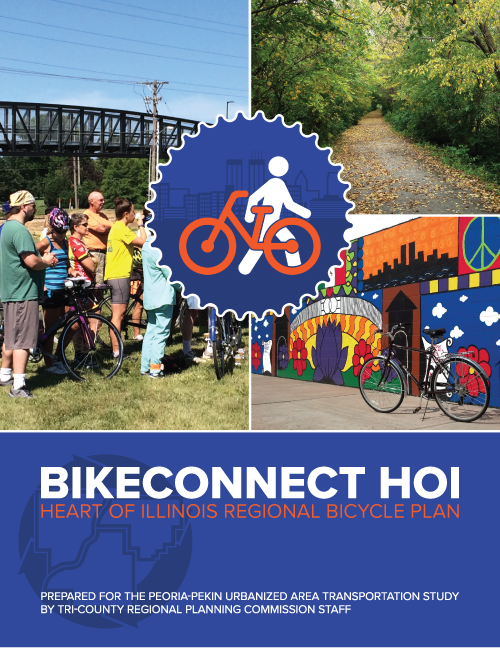 BikeConnect HOI is a regional bicycle planning process for the greater Peoria area. It identifies proposed regional bicycle networks within the Peoria, Tazewell and Woodford Counties. The primary focus is to identify a proposed bicycle network that connects the communities within the region. BikeConnect HOI was approved by the PPUATS Policy Committee on May 3, 2017! We’ve now entered the most important phase of the planning process — Implementation! Take a look at the plan and join us in building a more bicycle-friendly region!